True! South Africans are pushing the Bank to write off its largest-ever loan now: Eskom’s Medupi, a $3.75bn corruption-riddled coal-fired power station, a garantuan white elephant. Last Sunday, a national tv town-hall show – The Big Debate – explored this question of lender liability. Just as Donald Trump appointed the idiot Malpass with no BRICS opposition, Jair Bolsonaro will appoint the next BRICS Bank president. 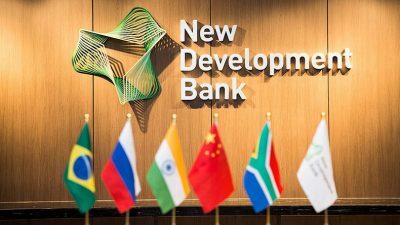 The BRICS Bank is facing the same questions about Odious Debt in relation to the loan to Transnet, to expand the main Durban harbour. But BRICS NDB Compliance Officer Srinivas Yanamandra is in corruption-denial, as you see from correspondence which ended yesterday. He convicingly shows that the BRICS NDB cannot be reasoned with.